A few years ago my office moved to a new place in the building. Thanks to the new offices, we were all given standing desks which was super great because I’m a very fidgety person. I always have to be moving slightly while I’m at my desk whether it’s tapping a pencil, bouncing my knee or tapping my foot. Standing up at my desk really helped me by allowing me to easily fidget at my desk which is why I was also super excited to be able to try the Bam Balli Bamboo Balance Board. This board can be used on carpet or hardwood floors. By standing on it and balancing you’re essentially working your core throughout the day. Without dedicating a ton of brain power to it, I really can feel my core being used throughout the day while using this with little effort. That’s what I like. The board is designed with the top of the deck at 2 inches to really allow the full motion to be used but also it’s not too high where it’s hard to balance. It’s fairly easy to learn and almost serves as a beginning base on how to balance better. This alone can help with other workouts like yoga just by improving your core and central balance. As someone who is always on the go and busy, it’s nice to get a little bit of exercise in my day while also still working. It’s small and compact while also being slim so it can really slide under my desk and not be in the way for the days when I don’t use it. And if I want to take it home, no problem because it’s super light to use. I really enjoy also the design of it because it’s not ugly sitting next to my desk. It’s sleek and also made in the USA with imported bamboo. 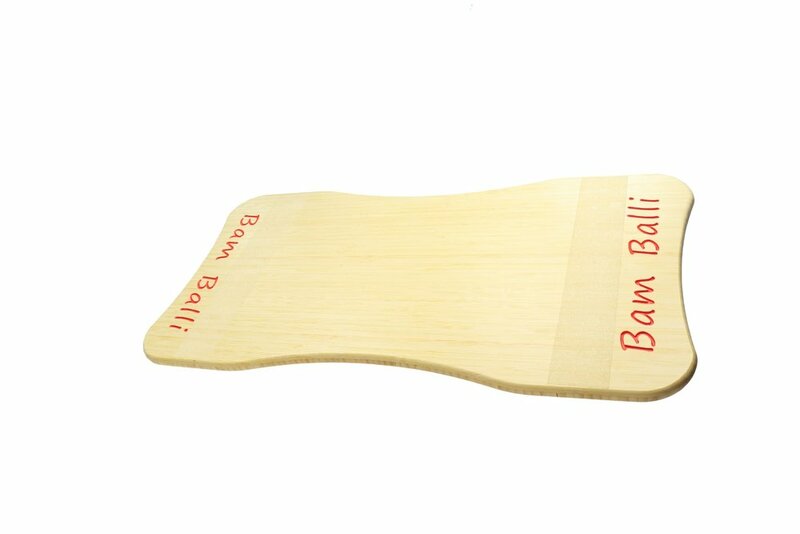 You can order your own Bam Balli Bamboo Balance Board and have it delivered straight to your doorstep when you order online. When you order, don’t forget to use BRETTBURGER-652 for 15% off. You can click the DealSpotr button below to go to their page on DealSpotr and locate the most updated list of deals for Bam Balli. Don’t forget to use my code BRETTBURGER-652. Bam Balli sponsored this post. Although they provided me free product, all opinions are my own.